The rarest of start-up breeds is being found in several cities in China. The “Unicorn,” a private company with a market capitalization of $1 billion, is being spotted more of late. A Chinese government report put the number of unicorns in the country at 164 in 2017, a 25% increase from the year before. By some counts, it already has more unicorns than the U.S., although putting a price tag on unlisted companies is more art than science. 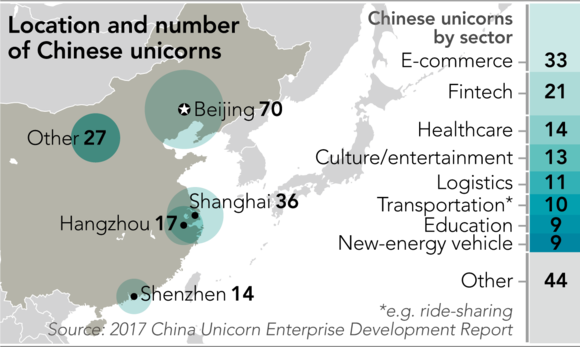 Chinese unicorns are concentrated in four cities: Hangzhou, Shanghai, Shenzhen and Beijing. Not that the average American really cares. However, what may be concerning is that China is planning on becoming “Silicon Valley East” in the not too distant future. According to the Nikkei Asian Review, some 16,000 companies are born there every day. With that said, the Chinese economy still relies heavily on state-owned enterprises. China has a love-hate relationship with capitalism as the dichotomy between societal norms and business widens. Innovation has never really been grasped by the East in general. Conjectural research espouses that ninety-five percent of all inventions up until the twenty-first century were created in the West (Europe and America). Juxtapose this with the rhetorical messages being delivered by President Xi of the government increasing its grip on the people and business. Torn between Mao and Adam Smith, China as a nation will win this battle regardless. In today’s world of high technology, you do not have to be an innovator, you just have to be able to obtain the source code. This intellectual property debate has been aimed right at China via President Trump. 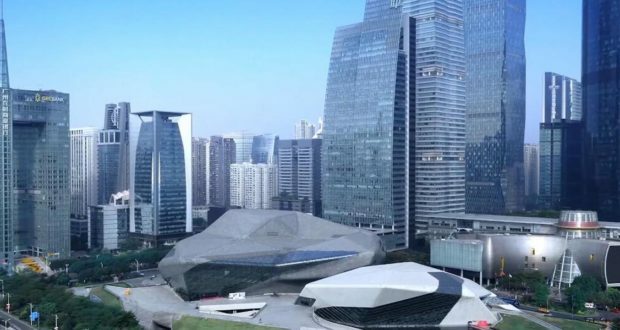 China has no plans to back off from this directive and will not only continue to pursue intellectual rights of U.S. companies, but will now be creating its own in Silicon Valley East. The Trump administration remains unconvinced. It has cited Chinese theft of American intellectual property as one of the main reasons for the trade war between the world’s two largest economies. If China wants to be a player on the world stage, it is going to have to export this new technology, and hence expose themselves to the same threat of intellectual theft as the rest of the world. Trump is right in that it is hard to fathom a level playing field with the communist/capitalist regime. How does this all playout you ask? China will, in fact, create its Silicon Valley East that will rival if not surpass our own. Once a world impression is made and markets have been penetrated, China will move more with the measures of Mao and privatize those that approach monopoly status. This should be no surprise to anyone. Xi has said as much himself. China will then retreat into itself and let capitalism lie for a period, while it uses its newfound fortunes for other interests.